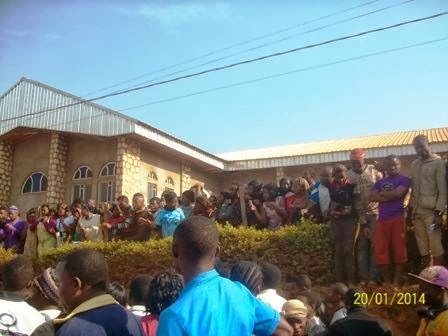 Home Unlabelled 7 Months Pregnant Girl Butchered(Killed) at Bambili (Bamenda, Cameroon) by an her Boyfriend. 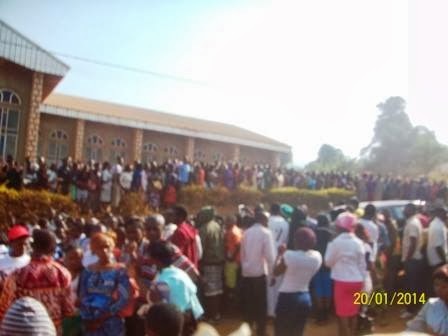 7 Months Pregnant Girl Butchered(Killed) at Bambili (Bamenda, Cameroon) by an her Boyfriend. Briefly, Bambili is located in Bamenda , Cameroon. This is the area where the famous ENS is found. This is also the place where the main campus of the university of Bamenda is found. It is a place made up of people from different background and religion. It has some great touristic sites such as the Lake Bambili and a lot of Natural vegetation to explore. Today 20th January 2013, a girl was Butchered by her boyfriend.. He used a well filed machete to end the life of this girl and her 7 months baby(what a pity for the innocent child). The angry crowd after discovering this guy could not let him go. He was stone to death, balancing the equation. Sources say both victims are from the West region of Cameroon. Unconfirmed sources also said that The girl had been complaining that her boyfriend had been calling and threatening her over the phone and each night when there is black out she always get a knock on her door. According to those present at the scene it is the girl had not been faithful to his boyfriend who is sponsoring her education. This is what the guy had to do to rescue himself. Dear friends at time life seem not to be what you hope for. It is at times difficult to facethe reallity and we allow anger to take control over us. These are three souls lost just because of the selfish reasons of man. We all need to have a sense of direction and accept things that we cannot change.Whatever the offence the punishment is too harsh.The end is a girl was killed in Bambili and a boy too was killed in Bambili. what for?